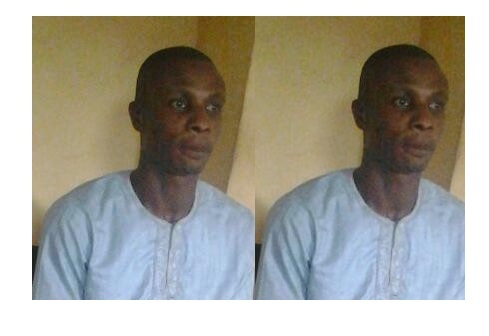 A 42-year old man, Abioye Olakunle, has been caught in a double game after he obtained N850,000 from a married woman, one Mrs. Kehinde Opebiye and promised to marry her but ended up duping her at Irewolede Street, Shasha area of Lagos where Olakunle resided with his wife and children. According to PM Express, Olakunle and Opebiye are married and were in an extramarital affair. However, Olakunle never informed Kehinde that he was married and had children. He had told her of his plans to marry her and start a life with her. He cajoled her to giving him N850k. When she found out that he was married, Kehinde confessed her wrongdoing to her husband who forgave her and then took her to the Shasha police station where they reported the alleged scam. The police later arrested Olakunle, detained and asked him to refund the money to her. It was gathered from police sources that the suspect admitted that he had collected money from her, promised to marry her and said that he was still prepared to marry her if she was ready to be his second wife. He also admitted that he did not tell her that he was already married but had not reneged on the promise of marriage as they agreed before she sent the money to his account. However, Olakunle was found culpable and charged before the Ejigbo Magistrates court on Thursday for marriage fraud and stealing. A charge he pleaded not guilty to. The prosecutor, Inspector G. Simon did not oppose his bail because the offence was bailable. Thus, the Presiding Magistrate, Mr. L.K.J. Layeni granted Olakunle bail in the sum of N200,000 with two sureties in like sum. The matter was adjourned till 25 June, 2018.